Creating a smooth, as well as rhythmic sounding music cannot be possible without a drum pedal. The reason for this is that it creates a platform for musicians to maintain a certain beat while keeping the required rhythm. Arguably, some people consider a drum pedal to be the backbone in any given song. For this reason, drummers are always careful when buying a drum pedal since a wrong choice would completely ruin flow of the music. In this post we review the DW 3000 Single Bass Pedal and offer a glimpse of available alternatives. There are two types of drum pedal – a single and a double pedal. Often, experienced drummers would go for a double pedal while the single drum pedal is ideal for the beginners. The pedal weight that you go for ought to be determined by your style. Drummers with heavy kick prefer pedals with little resistance while a lightweight drum pedal is appropriate for drummers who strike lightly. The speed of the pedal aligns with your preferred pedal weight. A fast speed pedal is often lighter since it gives room for greater speed. Additionally, double pedals are best for quicker playing. The DW 3000 Single Bass Pedal is a single type of drum pedal. It is a new version of DW 2000, but comes with added comfort and sturdiness. It comes with a dual toe clamp that is adjustable, a steel base plate, a 2-way beater, and a dual-chain turbo sprocket. Regardless of your drumming expertise, the DW 3000 can offer just the drumming experience you need. Its simplicity allows the DW 3000 to be used by professional and beginner drummers alike, though experienced players may not find it to be of much use since it is a single kick pedal. Nevertheless, it stands out for its smooth and fast beats. A number of features of the DW 3000 Single Drum Pedal makes it a stellar piece. For example, it features a 101 2-way beater, a dual-chain turbo drive, steel base plates, dual adjustable toe clamp, and a single-post casting among other features. The design of the turbo drives features offset cams. The availability of the chain-and-sprocket feature on the DW 3000 makes it give quick response when playing. The DW 3000 comes with reversible beaters that meet the industry standards. Additionally, the beaters have a high-impact plastic as well as a felt surface that ensures the coverage of various musical applications. The base plates of the DW 3000 are made of steel, which is important for the provision of a sturdy foundation. Additionally, the adjustable Velcro and spikes on the steel base ensures that the pedal does no skid when playing. 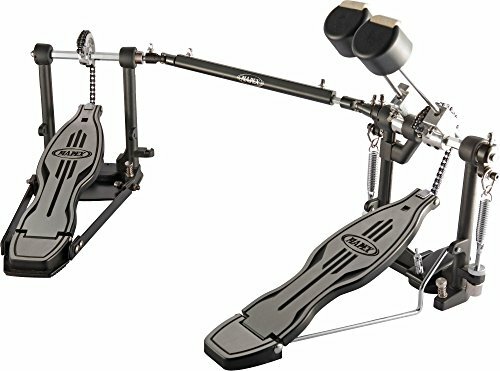 The toe clamp of the DW 3000 is adjustable and this makes sure that there is a continuous connection between the drum and the pedal. In addition, it comes with a clip that enhances convenience when playing. The single-post casting design of the DW 3000 offers ease of movement between the hi-hat and the pedal. Such an application makes it possible for independent or even simultaneous playing. The DW 3000 is made of heavy-duty metal, which makes it more strong and durable. It will give you value for your money, considering that it has a long lifespan. The DW 2000 Single Bass Pedal is an earlier version of DW 3000. Unlike in the case of the DW 3000, the locking clip of the DW 2000 is not completely dependable. However, it allows for smooth playing and this makes up for the non-dependable clip. The Tama HP200P features a simple design with a single chain drive. It differs from the DW 3000 in that it comes with a perfect spring tension and an adjustable beater angle.Unlike the DW 3000 and other pedals in the market, the Tama HP200P does not have numerous features. Nevertheless, it is highly stable and its portability factor makes it a better alternative for the DW 3000. The MAPEX P500TW Single Chain pedal is ideal for experienced drummers for a number of reasons including double pedal, power, smooth sounds, and high flexibility.It differs with the DW 3000 in that it is a double pedal drum. Having a high performance, strong, and durable drum pedal is important for smooth and fabulous sounding music. 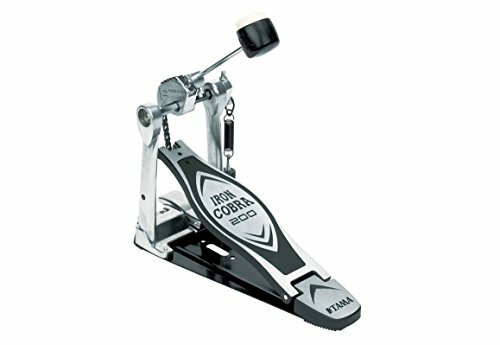 The DW 3000 Single Bass Drum Pedal is a high quality, durable and sturdy pedal that is ideal for professional and beginner drummers. Its construction is all-metal, which ensures that it can last for long. Whether you are a beginner or a professional drummer, looking for exceptionally smooth and rhythmic sounds, the DW 3000 single bass drum is the right pedal for you. Check out our guide for best drum pedal for more details on choosing what's best for you.